It's tough to get going on a new cartoon, and after a few years of hard work, we're starting a new production this week in Hollywood. 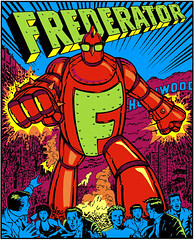 Frederator has an exciting joint venture with Mixed Media Group in New York, called Bolder Media. Together we're launching a book imprint for young children called Bolder Books for Boys & Girls, and producing TV series and movies. 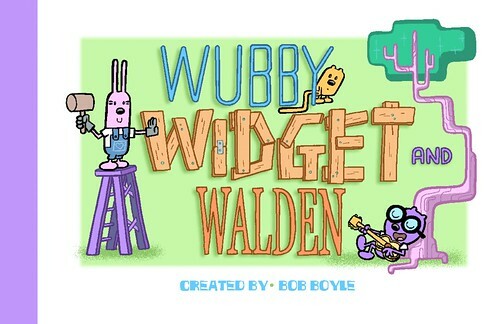 Our first TV series is for Nick Jr., and it's based on one of our first books, called Wubby, Widget, and Walden, created by Bob Boyle. We first met Bob on the first Frederator Studios' production, Nickelodeon's Oh Yeah! Cartoons. Bob created Olly & Frank and The Kid From S.C.H.O.O.L. (with Bill Riling), and worked on dozens of our other films. He went on to be the art director extraordinaire on Butch Hartman's The Fairly Oddparents and Danny Phantom. Please congratulate Bob and follow his look at the production on The Wubblog.